Intending to write a series of articles about various business cycle theories, I encountered a book originally published in 1978 and copyrighted in 1996. The title of the book is “The Austrian Theory of Trade Cycle and Other Essays”. It was edited by Richard M. Ebeling. The book has six essays and the contributors include F. A. Hayek, Ludwig von Mises, Murray Rothbard, Gottfried Haberler, and Roger Garrison. Let me start with essay number 4, “Economic Depressions: Their Cause and Cure” by Murray N. Rothbard. It has 26 pages. Reading the first paragraph, I encounter a difficult word – euphemism. Usually, encountering an unfamiliar term, I do not go immediately to the dictionary to look for its meaning. This kind of reading slows down my goal to finish an essay or a book. However, I could not help myself, but look for its meaning for I consider the word central to understand the entire essay. It’s the basic assumption of the writer. Paraphrasing the definition I encounter in the web, I understand euphemism as a way to make offensive words acceptable. This could be done both negatively and positively. As positive expression, this could be considered polite. However, as negative expression this is a good strategy to hide something and if done using the mainstream avenues of information could be used as a tool of misinformation and social control. The examples from this site of euphemism are surprising. I will just select few: “passed away” instead of “died”; “correctional facility” instead of “jail”; “ethnic cleansing” instead of “genocide”; “relocation center” instead of “prison camp”; “pregnancy termination” instead of “abortion”, and; “on the streets” instead of “homeless”. Remember who use and throw these words out there. Think also what the intention behind the replacement of words. Who use those words and for what purpose? This is a relevant question especially in our generation where almost all the things we believe to be true are in reality utilized to control the mind of the majority so that the powers that pull the string could do their own thing unnoticed. This is particularly true in the writing of history. Murray N. Rothbard used the word “euphemism” in the sense we describe above and this is most evident in the field of economics. The terms “depression” and “recession” are too strong and offensive for the public. Better replace the terms with acceptable ones. In this task, professional economists succeeded. Economic reality is hidden from the public and “the planners” go on with their usual business of planning people’s lives. If you do not believe this to be true, for your children’s sake, take a serious look once again. You do not have any excuse for not knowing for the Internet is before you. Reality is just a click away. Instead of “depressions” and “recessions”, Murray Rothbard claims that “New Economics” formulated new terms. These are “downturns”, “slowdowns”, and “sidewise movements”. Praise the Lord! We will no longer have depressions and recessions! Professional economists have created wonders! After reading the first few paragraphs of the essay, I encountered familiar and intriguing ideas particularly relevant to our present global economic situation. Karl Marx is the dominant personality that influenced the prevailing perception that business cycle is an inherent flaw within free market capitalism. Most people are unaware that by accepting this thesis, they already embraced the Marxist’s interpretation. However, economists like David Hume and David Ricardo refused to blame the free market for business cycle. They identify the critical role of commercial banks and government intervention on the economy as the real source of economic depression. Governments of the world operate on the Keynesian economic framework. 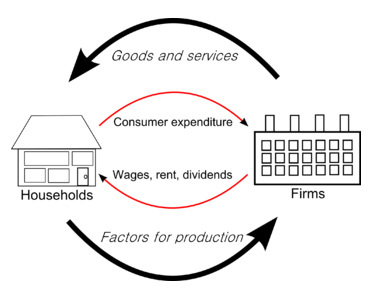 Based on this framework, government intervention is justified to address both inflation and recession. Based on Keynesian framework, inflation is caused by excessive public spending. It is the solemn duty of the government therefore to find a way to force people to spend less. The strategy of course is difficult to detect and visible only from an Austrian lens. Moreover, for Keynesian, recession is caused by insufficient private spending. To address this problem, the government has to increase spending. Except for the above solutions, other Keynesian remedies include bailing out bankrupt firms, inflating credit, propping up prices, and bolstering wage rates above the free-market level. On the other hand, from Austrian perspective, government interventionism is the primary cause for economic decline. The idea therefore of coming to the government to aid the economy is insane. Rothbard argued that in the recent past this kind of acts on the part of the government was designated as socialism. Most people are not aware that socialism is the air we breath in the name of course of “enlightened free enterprise”. Why all entrepreneurs lose their forecasting ability at the same time during economic recession? What’s the real reason for this sudden widespread of entrepreneurial blindness? Why capital good industries suffer the most in time of depression compared to consumer goods industries? And why the same industries soar in time of economic boom? Both the Marxist and the Keynesian schools provide insufficient answers to the above problems. The answer provided by the Austrian school is now considered the most reliable. David Ricardo answered the first question. Ludwig von Mises completed the answer in his book “Theory of Money and Credit” published in 1912. Rothbard still considered this book as the best book on the theory of money and banking. For Austrian economists, inflation and depression are not inherent flaws within free market capitalism. It is the result of the acts of “enlightened free enterprise” more accurately described as socialism or government interventionism. For Mises, the proper actions of the government in time of depression can be enumerated as follows: never bail out business firms in trouble, do not intervene with laborers’ wage and price of producers’ goods, do not encourage consumption, do not increase government expenditures, and cut the government budget. It is better if the government encourage more saving rather than more consumption. But the best act on the part of the government is to do nothing, to take her hands off from the free economy. Let the laissez-faire work. Rothbard wrote: “The Misesian prescription is thus the exact opposite of the Keynesian: It is for the government to keep absolute hands off the economy and to confine itself to stopping its own inflation and to cutting its own budget” (p. 89). Reading the last paragraph of the essay, I see that the only way not to fall victim into the world of euphemism is to recover the Austrian explanation of the business cycle. Once we see this thing happening, socialism’s real color will be exposed and Rothbard foresaw that the government will certainly withdraw its hand from the free market economy. “Once again, the money supply and bank credit are being grudgingly acknowledged to play a leading role in the cycle. The time is ripe for a rediscovery; a renaissance of the Mises theory of the business cycle. It can come none too soon; if it ever does, the whole concept of a Council of Economic Advisors would be swept away; and we would see a massive retreat of government from the economic sphere. But for all this to happen, the world of economics and the public at large, must be made aware of the existence of an explanation of the business cycle that has lain neglected on the shelf for all too many tragic years” (p. 91). In November 2008, Scott Stephens wrote his piece in response to global economic crisis. Rev. Stephens is the minister of Forest Lake Uniting Church and teacher of theology and ethics at Trinity Theological College. The title of his article is “Dishonest money: What the financial crisis tells us about ourselves”. In the mind of Scott Stephens, the basic problem lies in the inherent flaws of capitalism. He identifies the modern economic phenomenon of monetary expansion as “dishonest money”. To him, the 2008 crisis not only exposed the faulty foundation of such system, but should also lead to self-examination as to our participation in this crisis due to greed and extravagant lifestyle. Furthermore, he said that it ought to direct us to a realization working for common good and the need for alternative community with a different economic system. He looks to the Church to provide such a community with an economic system different from capitalism. Stephens’ reading is a typical misunderstanding of the real character of free market and capitalism. Reading George Reisman’s open letter to Warren Buffet dated July 26, 2012 clarifies this misunderstanding (George Reisman by the way is a Professor Emeritus of Economics at Pepperdine University and the author of “Capitalism: A Treatise on Economics”). In the mind of Reisman, it is not actually the free market that unleashed those destructive vices. It was something else. It was the government intervention appearing as “free market”. As for me, Stephens’ hope “that those in positions of influence will find a just and effective response to the current credit contraction,” is actually a resignation. Can we really expect that those in power would initiate genuine monetary reform apart from the initiative of an informed public? As Murray Rothbard (another defender of free market and author of “Man, Economy, and State with Power and Market”) rightly identifies that due to the combination of both evil and good in human nature, those in power could actually utilize their privilege position for legalized theft. I think Stephens’ longing for an alternative community with a different economic system exemplified by the Church could only happen on the basis of a solid understanding of what is really going on. This requires education in economics leading to concrete action. Without this education, we will buy both the mainstream and Stephens’ interpretation and capitalism will reap all the blame. Here I think the Austrian school of economics could provide the necessary tool for us to re-examine the real nature and character not only of free market economy, but also of the existing economic crisis. Is Warren Buffett a Communist? Many would laugh at the idea implied by the above question. How could a person in his right mind ask such a question referring to the most successful capitalist investor of our time? But such a question was asked by an informed economics professor to the great billionaire. His name is George Reisman. Our goal in this article is to introduce the real character of capitalism by presenting the main ideas in the open letter. We hope that this summary would provide an overview of capitalism and clarify common misconception about capitalism as exemplified by Scott Stephens. The open letter is very educational. The major obstacle reading it is its length. It has 20 pages with 9,206 words. So I doubt if anyone would spend time reading such a long open letter. Reisman started the letter with direct questions addressed to the billionaire implying that the latter was not really aware about the implication of his statement on class warfare. He then explained class warfare coming from Marx’s exploitation theory where capitalists are perceived as enemies of majority of humanity. After giving that brief “lecture,” Reisman clearly identified that Warren Buffet’s understanding of capitalism has nothing to do with the real nature of true capitalism. He blatantly said that the billionaire was in fact ignorant about the actual character of capitalism and in terms of understanding “the most fundamental matters of economic theory and economic policy” the economics professor described Warren Buffett as much an “ignoramus” as he is “a ‘genius’ in the field of securities trading.” The professor then admonished the billionaire to correct his misconceptions and to withdraw his statement on class warfare. After stating his admonition, George Reisman mentioned that despite of the billionaire’s misunderstanding of capitalism, the latter has actually blessed humanity with better standard of living due to his capitalistic endeavors. Seeing from this perspective, capitalists therefore are not exploiters and enemies of humanity as Marx’s exploitation theory emphasized, but innovators and benefactors. Self-inflicted guilt therefore among Warren Buffett and his friends is unnecessary. If Marx’s theory is correct, no amount of philanthropist acts could atone for the alleged crimes of the capitalists. By “philanthropist acts,” I refer to the giving pledge signed by Buffet and his fellow billionaires and to his idea of raising taxes for highest earners and heaviest investors. According to the professor, these acts would finally result into the reduction of general standard of living due to its impact on production capital. In short, instead of helping society, such measures would actually lead into further economic destruction. The professor believes that the right way “to reduce the burden of taxation in the economic system is to start with the reduction of the taxes that land most heavily on saving and investment.” He further affirms that this type of tax reduction if complemented with similar reduction in government spending and regulations would result to better economy and higher standard of living. George Reisman is against Warren Buffett’s idea of raising taxes for investors for the funds that would be collected could be utilized to finance more regulations hampering free market. 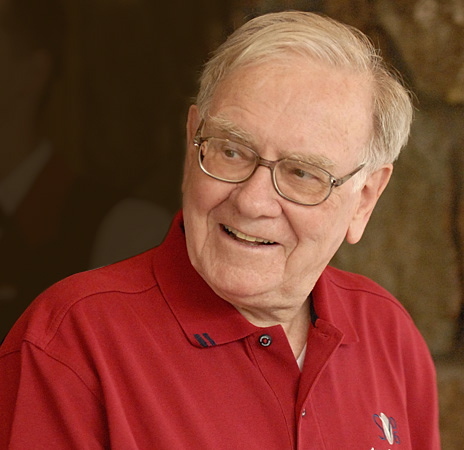 Instead of increasing taxes, the professor advised Mr. Buffett to invest all the more in business capital for that would provide employment and the necessary products and services for the people. The economics professor sees that socialism is the greatest threat to economic freedom. He mourned that the US Supreme Court has already abandoned its duty to protect people’s economic freedom for the last 75 years. Congressmen have passed laws under the influence of Marxist ideology. The real culprit for the economic woes of our time is the government’s growing intervention to prevent people from exercising their freedom to act concerning their basic economic rights and property. If this growing intervention of the government over the economic freedom of individuals would not be corrected, the future of humanity would be slavery and genocide as history clearly demonstrated to us in the experiences of Nazi Germany, Soviet Russia, and Communist China. In November 2008, Scott Stephens wrote his piece in response to global economic crisis. Rev. Stephens is the minister of Forest Lake Uniting Church and teacher of theology and ethics at Trinity Theological College. His article, Dishonest money: What the financial crisis tells us about ourselves is a typical example of misunderstanding the real character of capitalism. If a capitalist billionaire himself with the caliber of Warren Buffett could misunderstand capitalism, it is but natural to see typical misunderstanding of capitalism similar to Rev. Stephens’. This is where we need discernment to see beyond the appearances of things and also the ability to distinguish between dominant social themes and alternative story. The influence of mainstream media is very powerful to shape public opinion. Add to it the popularity of both the external and internal critics of capitalism. From the outside, we have the Marxists; and from the inside, we have people like Scott Stephens who himself enjoyed the blessings of capitalism. Both camps agreed in their analysis of the inherent flaws of capitalism. The fear of Peter Schiff is not at all baseless. He is worried that the worsening crisis would be blamed on capitalism. This is exactly what is happening. Only few are able to take a deeper look at capitalism and realize that the so-called “inherent flaws” are really not coming from the free market, but from another version of it. A good place to start in this social discernment is to learn the distinction between the economic positions of Warren Buffett and George Reisman. But before we do that, allow me to identify first the misunderstanding in Scott Stephens’ article. After reading Stephen’s article, you can compare it with George Reisman’s open letter to Warren Buffett and see for yourself the discrepancy between two versions of capitalism. Scott Stephens rightly identifies as “dishonest money” the modern economic phenomenon of monetary expansion. The 2008 crisis not only exposed its faulty foundation, but according to Stephen should also lead to self-examination as to our participation in this crisis due to greed and extravagant lifestyle. Furthermore, it ought to direct us to a realization working for common good and the need for alternative community with a different economic system. He looks to the Church to provide such a community with an economic system different from capitalism. As we will see in Reisman’s open letter, it is not actually the free market that unleashed those destructive vices. It was something else. It was the government intervention appearing as “free market.” Stephens’ reading of capitalism is a typical example of misinterpretation of capitalism and an evidence of the success of intervention done by the state. Stephens’ hope “that those in positions of influence will find a just and effective response to the current credit contraction,” is actually a resignation. Can we really expect that those in power would initiate genuine monetary reform apart from the initiative of an informed public? As Murray Rothbard rightly identifies that due to the combination of both evil and good in human nature, those in power could actually utilize their privilege position for legalized theft. Stephens’ longing for an alternative community with a different economic system exemplified by the Church could only happen on the basis of a solid understanding of what is really going on. This requires education leading to concrete action. Here I think the Austrian school of economics could provide the necessary tool for us to re-examine the real nature and character of free market economy. Coming from the world of theological education, it surprises me to see that the pattern of theoretical confusion also exists in economics. I thought that the field of economics operates in the world of certainty and predictability. I was wrong. I realize this confusion as I encounter reputable economists. And I think the most popular of them is Milton Friedman. What an honor given to a deceased economist – savior and champion of free market and capitalism (by the way, all the mentioned writers above, advocate free market and capitalism)! However, not all people agree in giving Friedman those great titles. Moore though he refutes it, also reports his observation that the Occupy Wall Street movement identifies Milton Friedman as the “father of global misery.” There is truth in it, but it depends on how you look at it. If you are coming from the Left, indeed you would say that Friedman is the primary cause of global misery due to his “free market” and “capitalistic” ideas. On the other hand, if you are coming from Friedman’s camp, you would deny it and insist that Friedman is indeed a hero of capitalism and free market. The blame for economic recession then would go either to the government or central banking for their refusal to listen to Friedman’s teaching. But there is still another voice, the Austrian economists. I find four relevant articles refusing to give those honorable titles to Milton Friedman. I mentioned the first two articles in my previous post. Reading Richard M. Ebeling’s article, I state, “Yes, in terms of opposition to Keynesian economics and basic free market ideas, the Chicago School shares them with the Austrian School.” After reading Murray Rothbard’s, Milton Friedman Unraveled, I find my own statement misleading. From Rothbard’s point of view, there is no commonality between Milton Friedman and a true Austrian economist. Gary North’s article is the most recent. It is written this day. In Detours on the Road to Freedom: Where Milton Friedman Went Wrong, he dissected Stephen Moore’s article and from a true Austrian perspective, he pointed out, which part is acceptable and which part is misleading. In conclusion, for North, there is no reason to celebrate Friedman’s “victory party” as the hero of free market economy. For North, agreeing with Rothbard’s analysis, Milton Friedman remains a Keynesian. He is a Keynesian economist who opposed Keynesian economics. This makes Friedman’s position confusing for many libertarians and free market thinkers, but not for North and Rothbard. Concerning the contributions made by Milton Friedman to economics, Nick Gillespie of Reason.com mentioned five, which I consider three of them relevant. These are the introduction of school vouchers, documentation of the role of government in inflation, and the integration of economic freedom with political and cultural freedom. Stephen Moore continues his praise of Friedman “as an influential voice for global economic freedom,” “the savior of capitalism,” an opponent of central planning, and the “apostle of free market.” Basing on the study of Andrei Schleifer of Harvard, he ascribes to Friedman as the one who opens the door to the 25 years of prosperity; referring to the era from 1980 to 2005 as “the Age of Milton Friedman.” Nick Gillespie voiced out such confidence earlier than Moore that in his July 28 article last year, he claimed that the Friedman’s century is just starting; it’s far from being over. Speaking of such an era, Moore describes it as a time of “remarkable progress” for humanity resulting from the implementation of free market ideas. He further describes that Friedman’s influence result to growth in living standards, improvement of life expectancy, educational attainment, and democracy. And above all, “absolute poverty declined” resulting to the liberation of over 200 million people from poverty. Daniel J. Flynn also mentions the “flexible exchange rates” and “school vouchers” among the contributions of Milton Friedman. Furthermore, he adds among Friedman’s significant contributions are putting “an end to wage-and-price controls,” “legalizing private gold ownership,” and reducing tax. 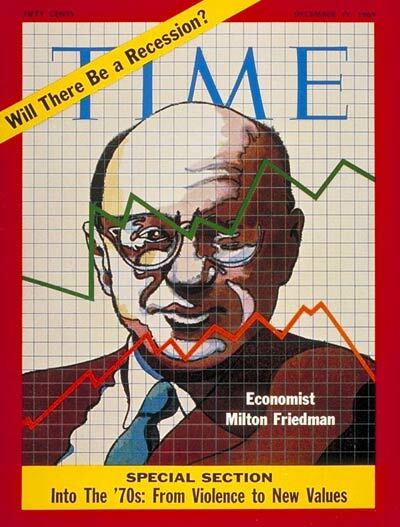 It appears to me that among the admirers of Milton Friedman, Flynn refutes the arguments of those who deny the economic impact of Friedman’s “free market ideas” describing the man as “real world economist,” “pragmatic libertarian,” and “a product of the concrete jungle.” As such, Friedman refused to isolate himself into some economic “idealist’s fantasy land.” His realism explains his inconsistency. Both Gary North and Murray Rothbard refused to accept Milton Friedman as member of libertarian camp. They exposed his real economic position. Both of them agree that even though in appearance Milton Friedman opposed Keynesian economics, but in reality, he still remains a Keynesian economist. Gary North gave a detailed analysis of Friedman’s position. I just want to mention two. 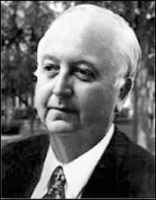 First, North identifies Friedman as a disciple of Irving Fisher, an advocate of “central bank-based fiat money economy.” In the eyes of Friedman, Fisher is “the greatest American economist.” However, according to North, Ludwig von Mises sees Fisher’s fiat money economics differently; it is a threat to liberty. As a faithful follower of Fisher, Friedman agrees that minimal inflation is acceptable. Second, Friedman’s followers welcome his 1971 book, A Monetary History of the United States as a masterpiece. But for North, the book did more harm than anything that Friedman wrote. Among the ten articles that I used as my source, I find Murray Rothbard’s the most difficult and most penetrating to the real economic position of Milton Friedman. His article was written in 1971. For Rothbard, he finds it unacceptable to consider Friedman a convert from the “New Deal” to libertarianism. Instead an appropriate description of Friedman would be the statist version of “free market” and “libertarianism.” This serves as a reasonable explanation why Friedman was a favorite of the Establishment. Except from the fallacy of Friedman’s ideas about the stability of money and uncritical acceptance of central banking as given, his concept of macro-statism as basic framework required for the existence of micro free market is also erroneous. As far as Rothbard is concerned, the macro and micro economics are inseparable. Friedman was attempting to synthesize two irreconcilable economic theories. If you retain macro economics as separate from micro economics, in time you will see the termination of free-market activity. Personally, I think Milton Friedman gave free-market a bad name in the eyes of the public. Knowingly or unknowingly, instead of championing free market, he actually promotes statism at the expense of free market. We hope that by July 31, 2013, as the world will celebrate Milton Friedman’s 101st birthday, we will see economists giving him honor not as the savior of capitalism and champion of free market, but a hero of a new form of Keynesianism. And I think that would be honest. The libertarian movement has coasted far too long on the intellectually lazy path of failing to make distinctions, or failing to discriminate, of failing to make a rigorous search to distinguish truth from error in the views of those who claim to be its members or allies. It is almost as if any passing joker who mumbles a few words about “freedom” is automatically clasped to our bosom as a member of the one, big, libertarian family. As our movement grows in influence, we can no longer afford the luxury of this intellectual sloth. It is high time to identify Milton Friedman for what he really is. It is high time to call a spade a spade, and a statist a statist.